The Lunar Eclipse is coming! On Sunday, January 20, 2019, the moon will enter a full lunar eclipse. Join us for this exciting event at two Utah State Parks. Both Dead Horse Point State Park and Antelope Island State Park will be hosting special eclipse viewings that are open to the public. Full moons come once a month, but this one is different. Because the moon rotates around the earth on a slight angle, eclipses only come a couple times a year. On the night of January 20th, Earth’s Moon will move into the shadow of the Earth creating a lunar eclipse or “blood moon”. This particular eclipse is nice because it is happening at a decent time and not so late at night. Often times, these events occur around 2 – 3 am. The events will take place outside for most of the night, so remember to dress warmly. Entrance fees apply. 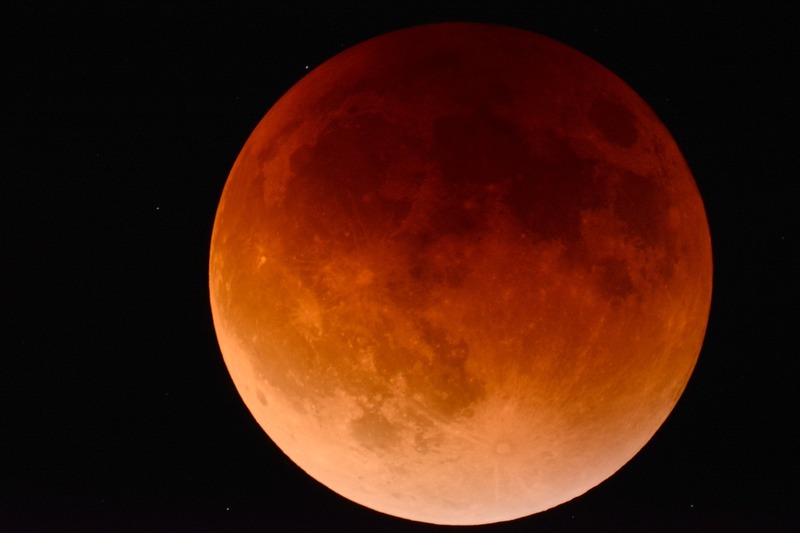 Join park staff and Dark Sky Layton at 8:00 pm in the visitor center for a presentation on the total lunar eclipse. After the presentation, we will venture outside to witness the eclipse through telescopes and binoculars. The event will also be projected on the screen inside the visitor center. Hot chocolate and donuts will be provided (while supplies last). The entrance gate will remain open until 9 pm that evening. Entrance fees apply.